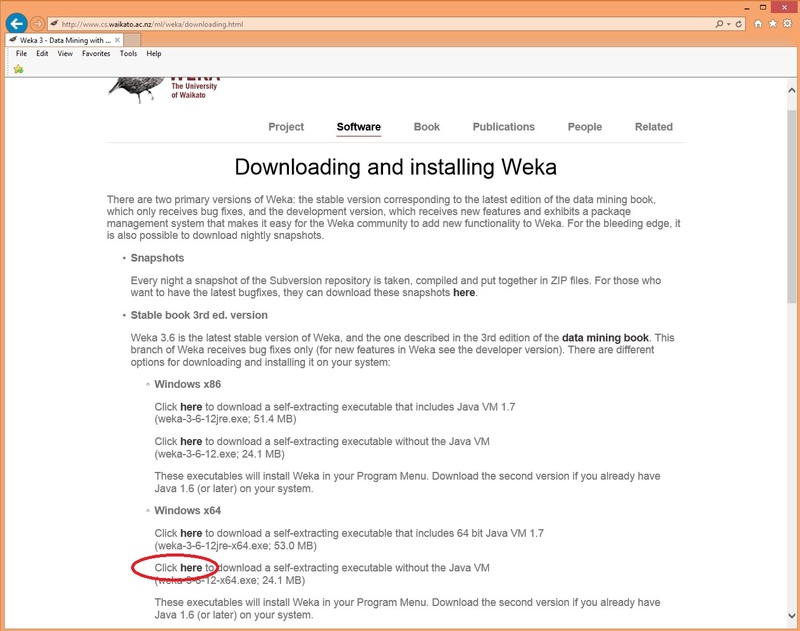 Here’s a quick (should take you about 15 minutes) tutorial that describes how to install the WEKA machine learning tool and create a neural network that classifies the famous Iris Data set. 1. 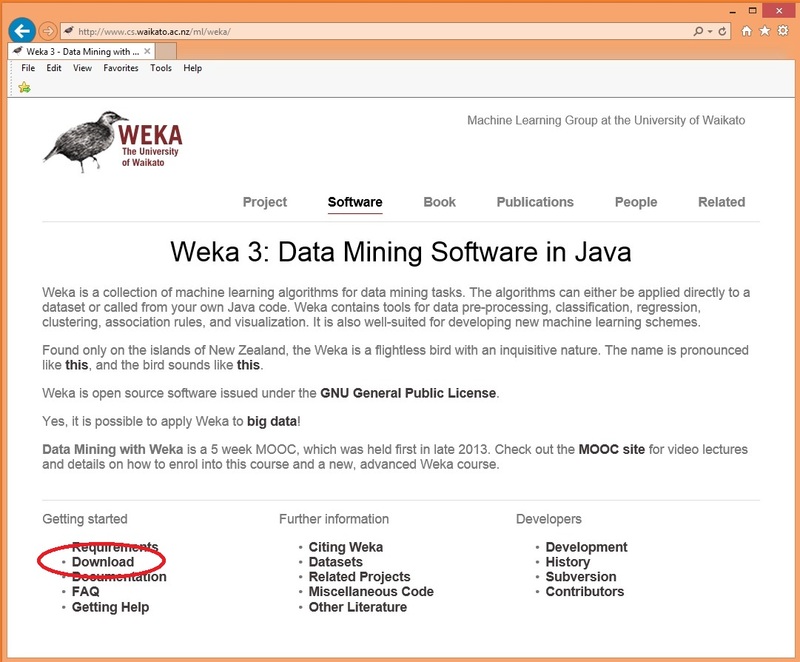 Go to the WEKA Web site by doing an Internet search or navigating directly to http://www.cs.waikato.ac.nz/ml/weka/. Click on the Download link. 2. Your machine almost certainly has Java installed on it so click on the Windows x64 self-extracting executable without the Java VM link. You can use the x86 version too. 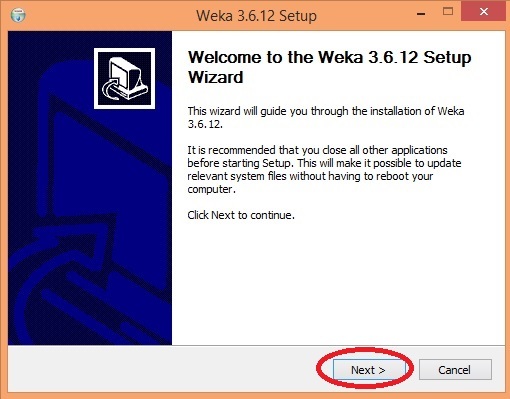 If, for some reason your machine does not have Java, either install Java or click a with-Java-VM install link. 3. 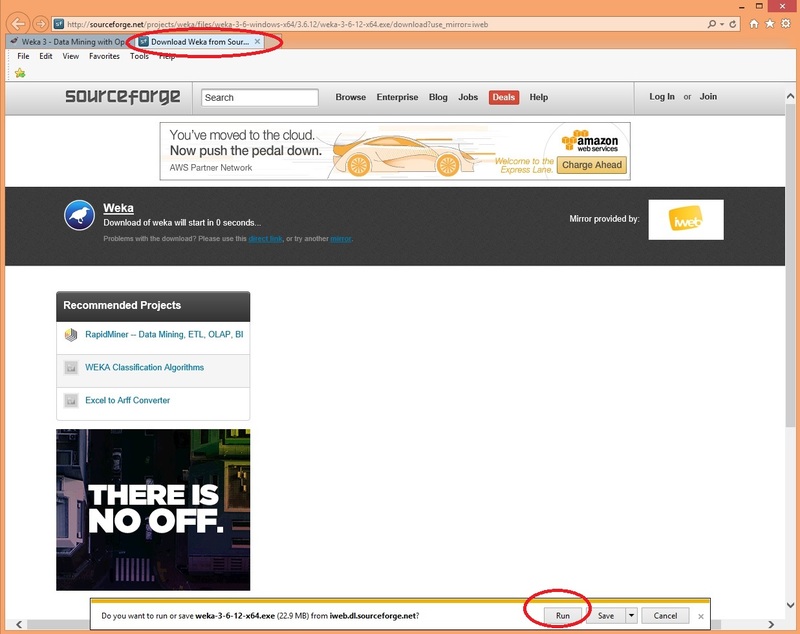 You will be directed to sourceforge.net. 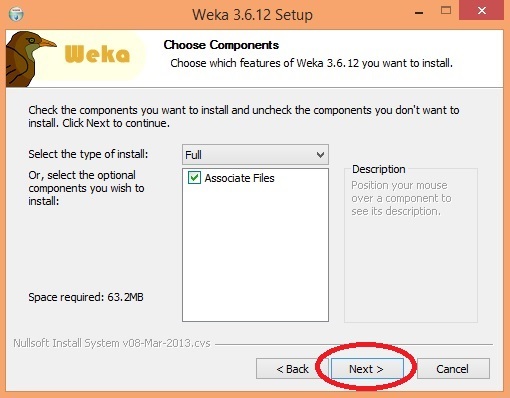 Click on the Run option in the IE pop-up dialog to run the install program. 4. The install has 7 mini-dialog boxes. You can accept all defaults and just click through the screens. 5. 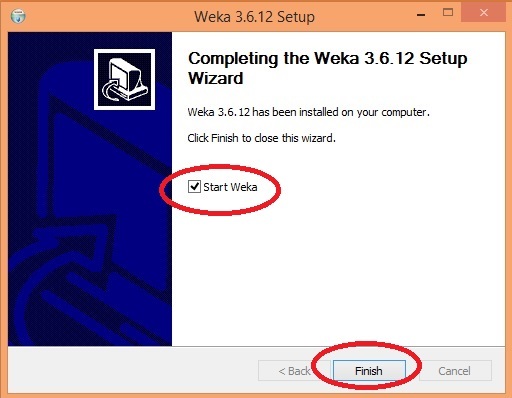 Assuming you left the “Start Weka” checkbox checked, the Weka GUI Chooser mini-program will launch. 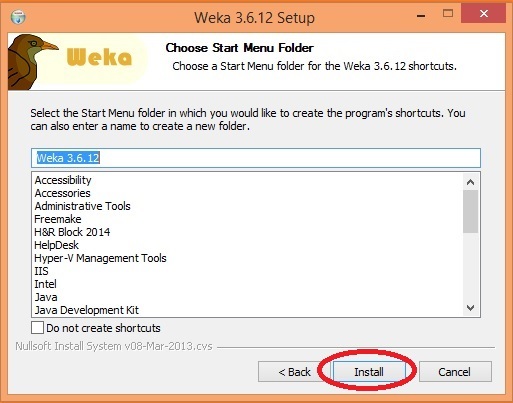 If Weka doesn’t automatically launch, you can find it in the Start Menu or do a search for “Weka”. 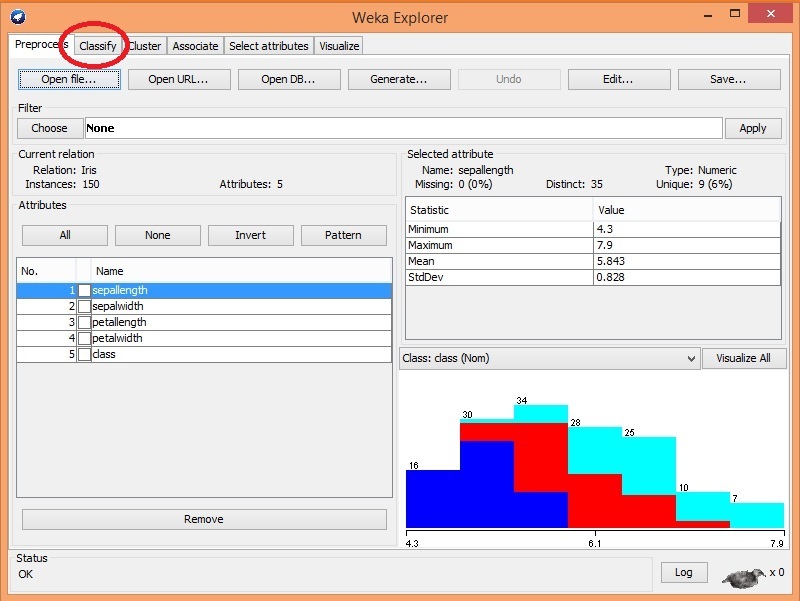 On the GUI Chooser, click on the Explorer button to get to the actual WEKA program. 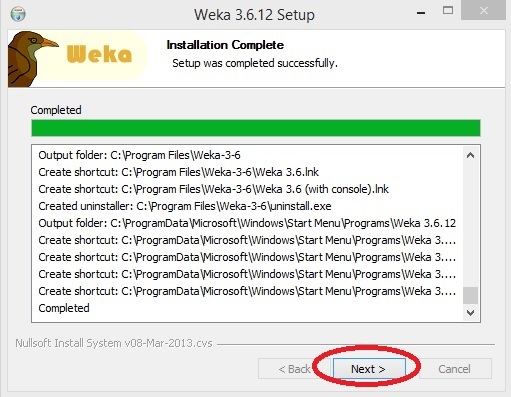 (This process is kind of strange and confuses many people who are new to WEKA). 6. 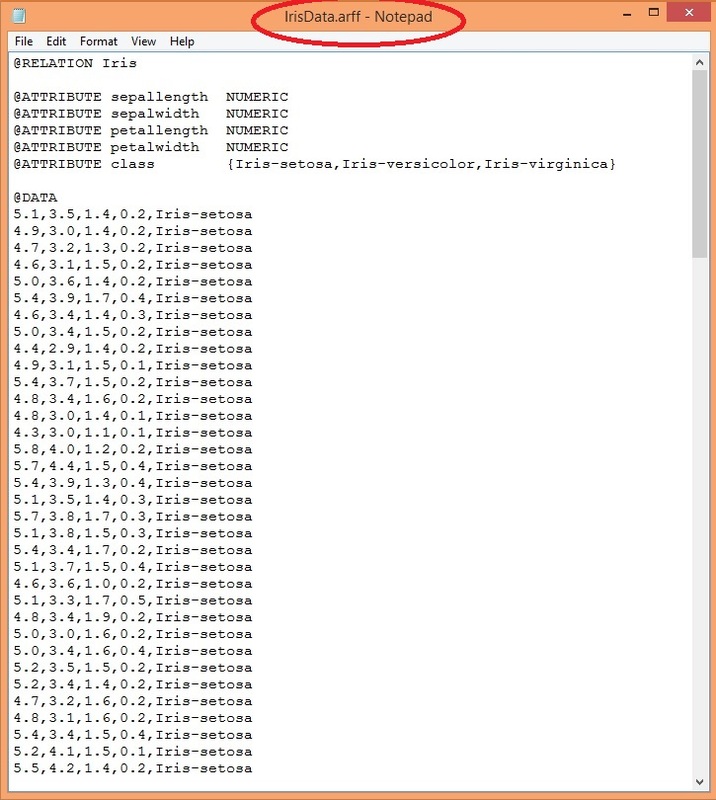 Create a data file to analyze by launching Notepad, then copy-paste the data at the bottom of this blog post into Notepad and then save on your machine (I used location C:\Data\WekaData\) as file IrisData.arff. Alternatively, you can find this data on the Internet. You may run into trouble with invisible control characters; try again or try using WordPad or Word. The goal is to create a neural network that classifies an iris flower as one of three species (setosa, versicolor, or virginica) based on four numeric values (sepal length and width, and petal length and width). (A sepal is a leaf-like structure). 7. 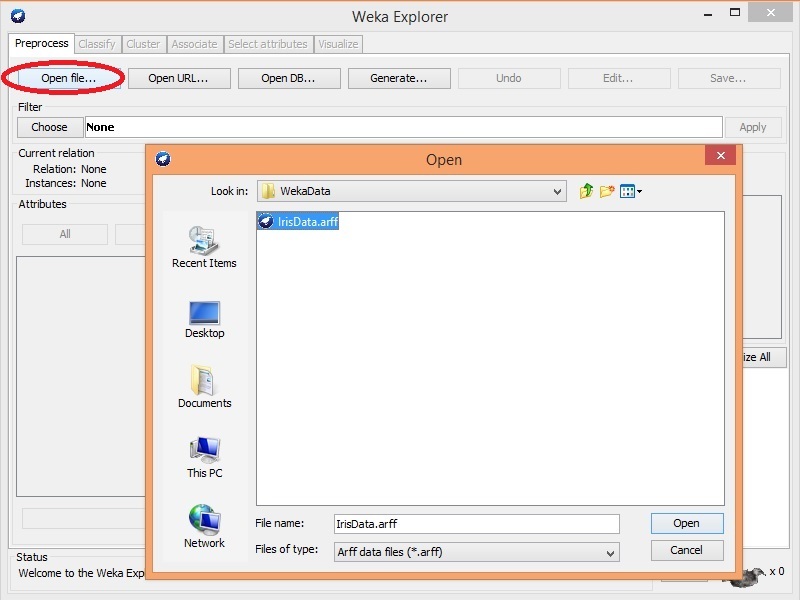 Click on the Open File tab then navigate to your data file and click the Open button. 8. 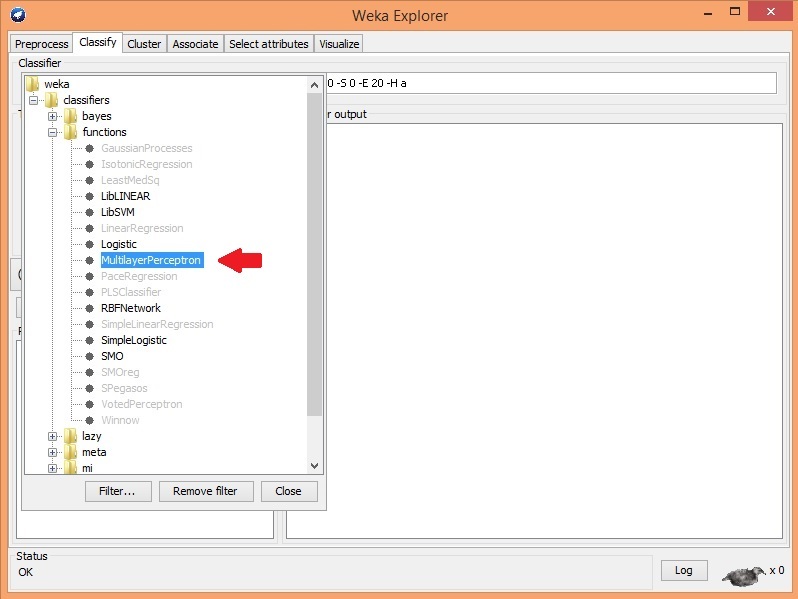 If the data file loads correctly, WEKA will automatically show you summary information about your data. Click on the Classify tab to start creating a neural network. 9. 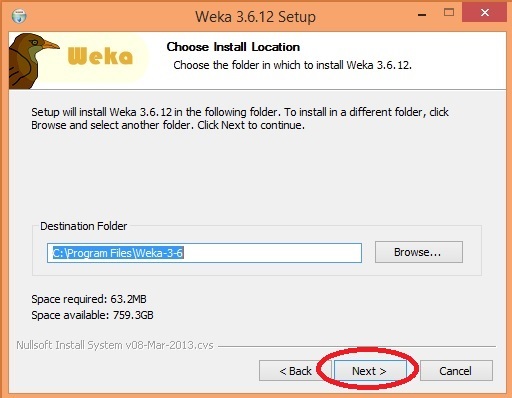 Click on the Choose button — WEKA has many tools. Under the “functions” folder, select the “MultilayerPerceptron” item. This is what WEKA calls a neural network. 10. In the Test Options area, select the “Percentage split” option and set it to 80%. 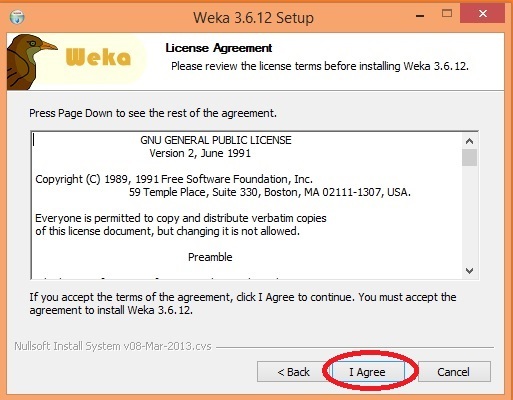 You are telling WEKA to use 80% of your 150-item data set (120 items) to create the neural network and to use the remaining 20% (30 items) to evaluate its accuracy. Click the “Start” button. 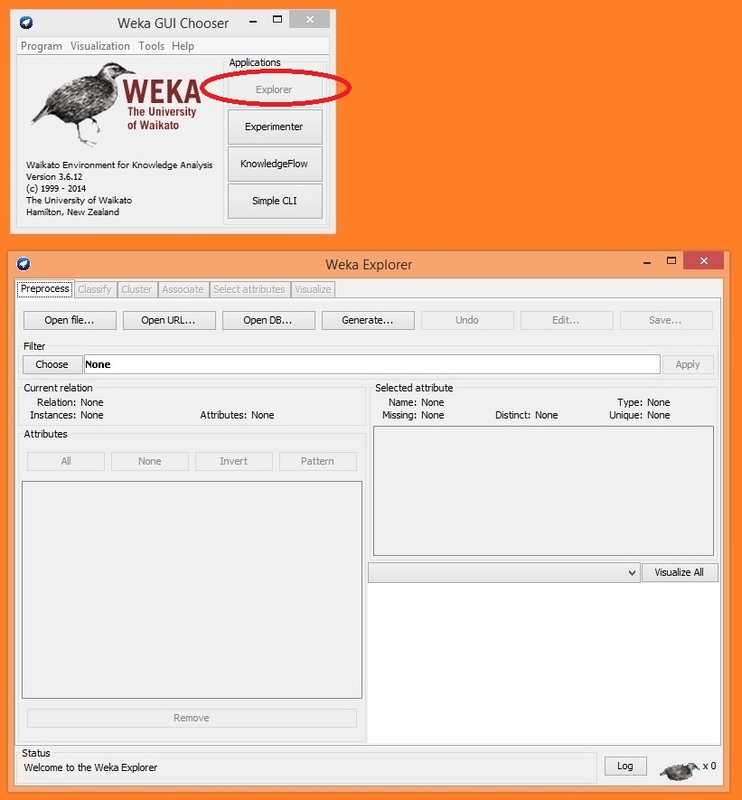 WEKA will create a neural network. 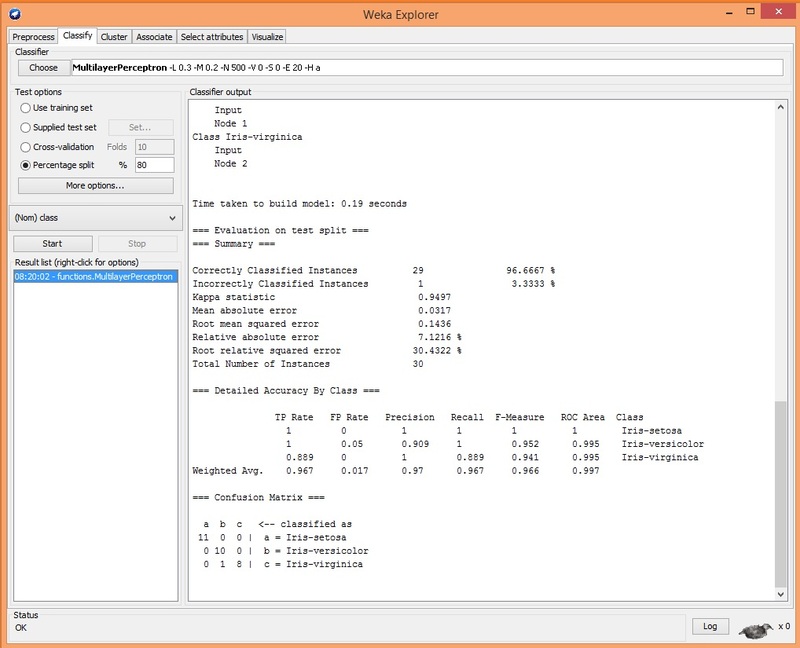 The resulting “Classifier output” area has all kinds of information. The most important is the “Correctly Classified Instances”.